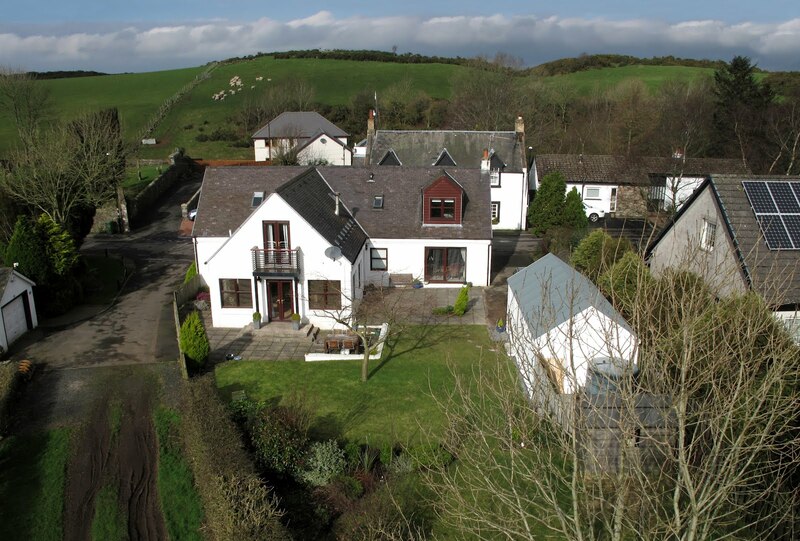 LEADING Scottish property consultants CKD Galbraith are offering for sale The Stables, a superb extended cottage in the heart of the peaceful village of Craigie, South Ayrshire. Craigie is easily accessible from the M/A77 corridor and has a pretty historic church and village inn. Formerly the stables for the village Inn, the house is beautifully presented and in immaculate condition. Situated opposite the village pub (now a well regarded restaurant) and with open views across farmland to the rear, the current owners have cared for and upgraded the house to a very high standard, resulting in an immaculate family home with ample accommodation and lovely gardens. The accommodation on two floors comprises entrance hall, with a welcoming lounge and a lovely open fireplace and patio doors to the garden, two bedrooms and shower room. The modern kitchen has fitted floor units with integrated appliances, and a shelved pantry. There is also a useful utility. The stunning south facing living room / dining room extension with solid oak flooring, overlooks the pretty gardens with French doors. This is a superb addition to the house. Upstairs, there is a sumptuous spacious master bedroom suite with Paris balcony. There are two further bedrooms and a family bathroom. The gardens have many colourful plants and shrubs and there is a delightful patio seating area for outside entertaining. There is also a garage and timber framed shed. From the garden, there are fabulous views over open farmland, and a public footpath to the east of the house is a very pleasant circular walk leading back to the village. Set in a sought after position, The Stables is being marketed at Offers Over £325,000.